Storyteller is a monthly digital collection created by Just Jaimee. 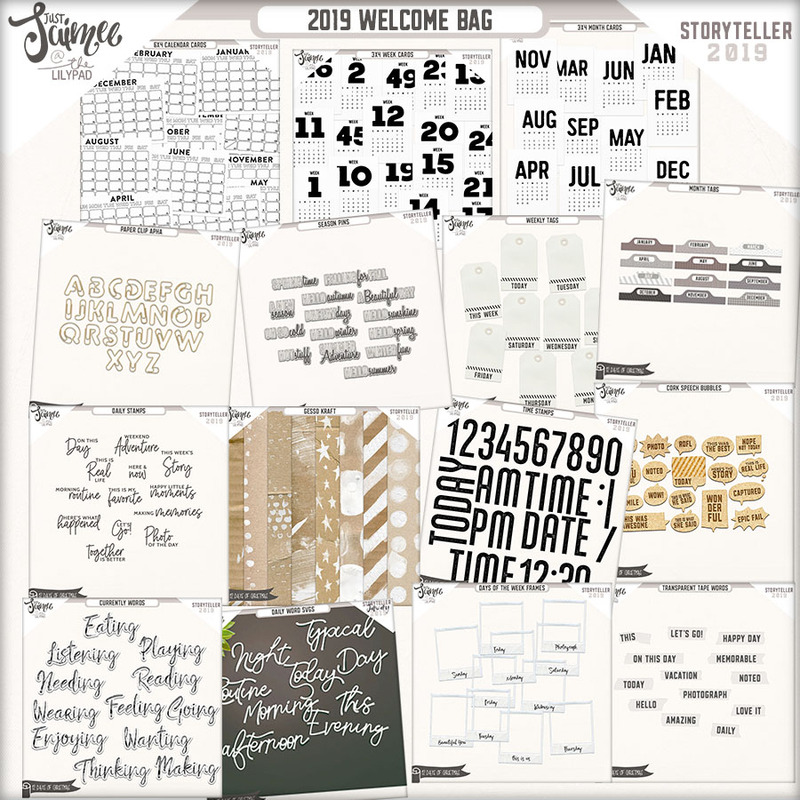 It is packed full to the rim each month and includes 100+ kit elements, 30+ word art, 40+ digital papers, 20 Pocket / Project Life style Cards in various sizes, Flair + Tape pack, templates, mixed media paint, alphas and more! A three month commitment is required, but then you may cancel at any time. Lump sum payments are not refundable.